Copperwood East is a subdivision in Farmington Hills, Michigan consisting of 81 homes located off Halsted Road. Part of the community is in the Copperwood East Golf Community and a short section along Turnberry Ct is just outside the boundaries of the golf course. The main and sole entrance is off Halsted Road just south of Thirteen Mile Road and minutes to I-5, I-696, shops, restaurants, markets, and more. Most homes in Copperwood East offer 4-5 bedrooms, 2 .5- 4.5 bathrooms and sizes from 2,800–4,400 square feet. These beautiful homes were built between 1990 and 1994, except for one home which was built in 2002, and prices range between $425,000 and $675,000. Most homes have larger lots of over 1/3 acre and have either 2 or 3 car garages. Association dues are $350 per year and cover landscape and common area maintenance and management services. A small handful of homes have backyard swimming pools or access to the community pond and/or back up to the large green space between the homes. Copperwood East is part of the Farmington Hills Public School district and is served by the Hillside Elementary School, East Middle School, and North Farmington High School. The elementary school is less than 2 miles from most homes in the subdivision. 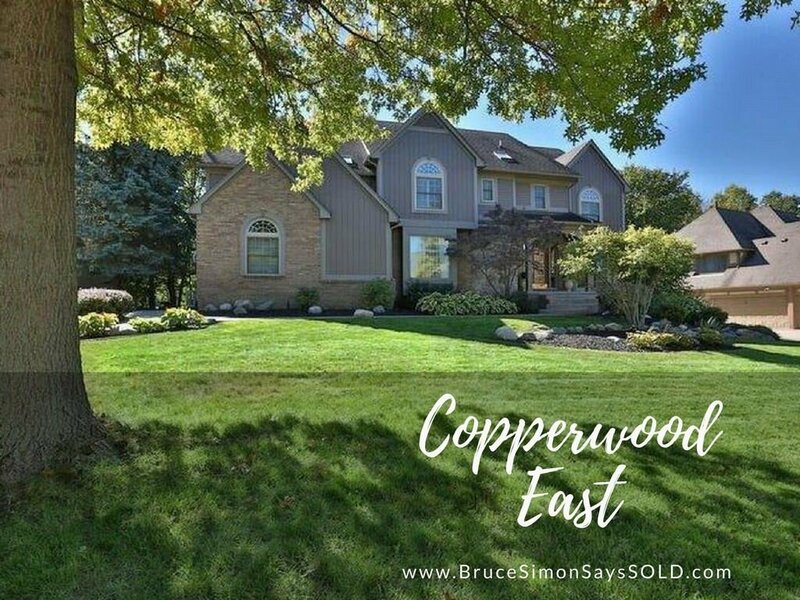 About 5-10 minutes from Copperwood East are shops, grocery stores, a Starbucks, Ruby Tuesday and other facilities and conveniences and the intersection of I-96, I-696, and I-275 is less than 10 minutes. If you’d like to view any of the available homes for sale in Copperwood East give me a call! I’d love to personally show you around the community or offer similar properties for sale in the same area.